T Levels – can stakeholders join the revolution and keep it real? Is it a cliché to suggest that the only constancy in life is change? Perhaps, but it must feel very real from the perspective of the Department for Education. 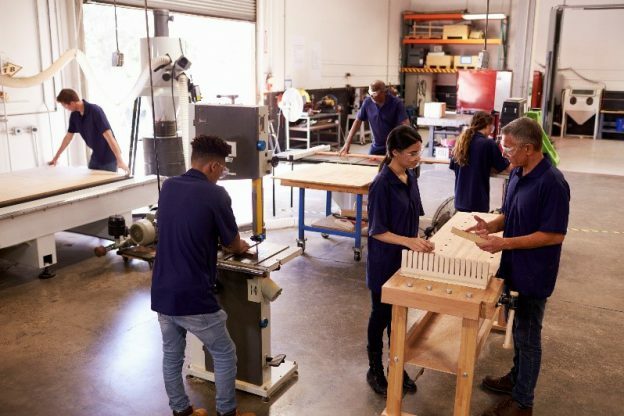 Last October Justine Greening, then Education Secretary, announced the ‘biggest ever overhaul’ of technical education when she announced the first new T levels. Brexit was cited as one of the forces driving this ‘skills revolution’ – it seems the UK will need better technical skills if it is to succeed outside the European Union. Although quite why that should be the case is not clear. Why should we need more technical skills outside the Union than within? In fact, concern about skills pre-dates Brexit by a long, long way. Employers find it problematic to fill STEM-related roles, and it can be difficult to attract young recruits. 72% of manufacturers fear that they will not be able to find the skills they need for their business – and many of them are not waiting for the government to do something. In 2014 Rolls Royce set itself the target of reaching 6 million people through STEM education programmes and activities by 2020. The long-established Institution of Engineering and Technology (IET) identified an ‘unhelpful national stereotyping of engineering’ and, over the last couple of years, proactively invited children and their parents to get involved with key players such as BT and the National Theatre to showcase the wide variety of jobs available within the sector. I might also add that our loose approach to nomenclature is not helping. In Germany an engineer is a high-status occupation and no-one can use the title without meeting stringent regulations. In Britain we call virtually anyone an “engineer”. Employers are very much behind work experience for young people. We know this not least because they keep telling us! The prestigious Manufacturers’ Organisation (EEF) says its members believe that experiencing the world of work is always valuable. Indeed, the T level’s reliance on a challenging 45-60-day work placement suggests that the Government is listening. By mixing academic elements – a rigorous 900 hours of teaching over the two-year programme – with practical experience, the plan is that students will emerge as work-ready, technically-able employees. When Justine Greening announced the changes, she was supported by a constellation of stellar employers, including EDF, Rolls Royce, Skanska and Morphy Richards. The nation’s largest business organisation – the Confederation of British Industry (CBI) – rightly focuses on the potential impact of the work placement which – as with the earlier Diploma project – is a key element in T Levels. Ed Richardson, CBI’s senior policy adviser for skills recently commented: ‘T levels have the potential to be revolutionary, opening up new routes to skilled work.’ The crucial point, though is that the ‘key priorities for firms are delivering sufficient high-quality work placements, ensuring … universal provision in all parts of the country.’ And there, as one of our famous ancestors correctly said, is the rub. In response to the DfE’s consultation, The Association of Colleges (AOC) highlights employer engagement as a major challenge. They are unequivocal about the prospects for the work-placements: Providing the projected 180,000 work placements is, the AOC has said, impossible. The very thing that makes the T level exciting and different therefore, is also its sticking point. The success of the qualification is reliant on work placements – and on learning providers’ ability to source and sustain them. Mark Dawe, Chief Executive of the Association of Employment and Learning Providers (AELP) puts it simply ‘without the availability of work placements, nothing else counts’. It’s no wonder that some learning providers are daunted by the prospect. In our many conversations with employers, SMEs and sole traders feel particularly challenged by the requirements of the T level work placement. Whilst the Government is right to put the work placement ball back in the employers’ court, it also needs to make sure they have the freedom to make it work. If businesses struggle with an extended work placement, or lack the infrastructure to support it, why not allow a more flexible approach? How about the possibility of a portfolio style work placement? This could involve an embedded work placement tailored to the pathway. It could also mean remote working, or a mixture of shorter placements, undertaken in combination with employability and work skills programmes in college. Learners could use technical master classes, experience gained within in-house commercial facilities, Realistic Working Environments, or employer-led projects or ‘industry Labs’ to become work ready. Where does this leave the beleaguered learning providers? After all, the uniform approach was a bid to underpin quality and consistency. Surely, they hold the keys to T level success as the lynch-pin in the partnership between Government and employers. With the explicit support of Greening’s successor, Damian Hinds, they should push to capitalise on existing relationships and proven technical resources to join and shape the revolution. The important factor here is that T level work placements need to meet business needs on the ground. Employers want young people with the right skills, and many of them are willing to invest time and resources to get them. Regardless of the size of the business, employers will be put off by hassle, red tape and a lack of support. If Government can keep the message simple, retain a flexible approach and provide help when needed, they can develop work placements to benefit employers and students alike. This entry was posted in Blog on April 13, 2018 by Nicola Charleton.